As Fall Leaves Illustration: Huge One-of-a-kind Magnet for sale! Huge One-of-a-kind Magnet for sale! 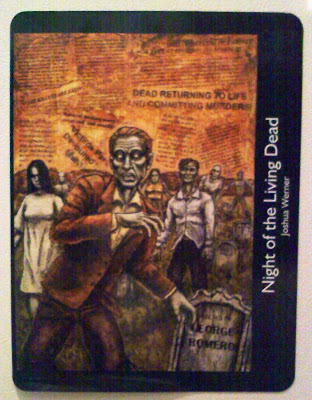 For sale: Extra large Night of the Living Dead magnet! This is 8 1/2" x 11 1/4"! Great for a locker, toolbox, side of a car, fridge, or heck treat it like a print and put it in a frame. It's great quality with detailed art and it's one of a kind. This is a terrible cell phone photo of it but you get the idea. $13 gets you the magnet, covers shipping, plus I'll throw some little goodies in there, including a hand-drawn and signed sketch. If you live out of the country I'll have to charge a bit more for shipping. Hit me up! Life may have sucked, but Vampirism Bites!